In the face of the current global trade protectionism, the traditional globalization model has been difficult to solve many new problems in the economy, finance and trade. The world economy urgently needs a new type of globalization mechanism commensurate with it. The Belt and Road Initiative is committed to building a fair and equitable international economic order. It is a "China plan" that effectively improves the sluggish global economic growth. It can be said that it has built a brand new high-speed railway for the revival of global trade. The ticket for the "Belt and Road" foreign trade high-speed rail has also become a target for cities along the route. Prior to this, OSell Group's Dragon Workshop formally signed a cooperation agreement with Fufeng County, Baoji City, Shaanxi Province. 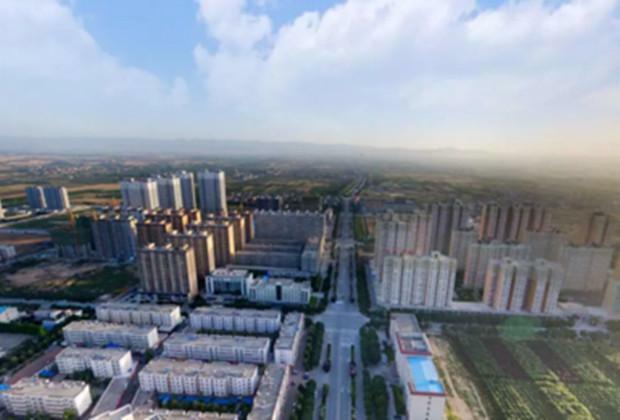 The two sides reached an agreement on Fufeng Construction in Fufeng Cross-border Industrial New City Project. Dragon Works will rely on local industries, capital pools and policies in Fufeng County to land some cross-border trade services in advance, promote the increase of foreign trade volume in Fufeng County, cultivate local cross-border e-commerce talents, export local brands, and create new business cards for cross-border e-commerce in Fufeng County. Take the "Belt and Road" foreign trade high-speed rail. Fufeng County is affiliated with Baoji City, Shaanxi Province. It is named after "helping the capital and weathering" and is the birthplace of Western Zhou culture. It is famous for its famous Buddhist temple Famen Temple. Under the efforts of the Fufeng County People's Government, the current Fufeng is outside tourism and has cultivated the spring breeze of e-commerce on the land of the Qinchuan River in 800 miles. Fufeng County's main industries include specialty agricultural products, food, plant extraction, and electromechanical and electrical machinery, accounting for 70 % of Fufeng County's fiscal revenue. With the exception of paper towels, water pumps and machinery enterprises, which are large enterprises, the rest are mainly small and medium-sized enterprises. Fufeng is mainly based on domestic trade. Occasionally, there are some export performances. Through channels with limited independent expansion, the proportion of domestic trade is very small. Through the Dongfeng of domestic e-commerce development, the Fufeng County People's Government has made e-commerce a major force for the development of the wind through the basic policies of government guidance and market-based development. In 2017, the total regional GDP of Fufeng County was 12.465 billion yuan, an increase of 10.5 % year-on-year. Among them, 21 newly developed e-commerce enterprises and 200 million yuan in net sales of agricultural products throughout the year were awarded honorary titles such as national e-commerce integrated demonstration counties. 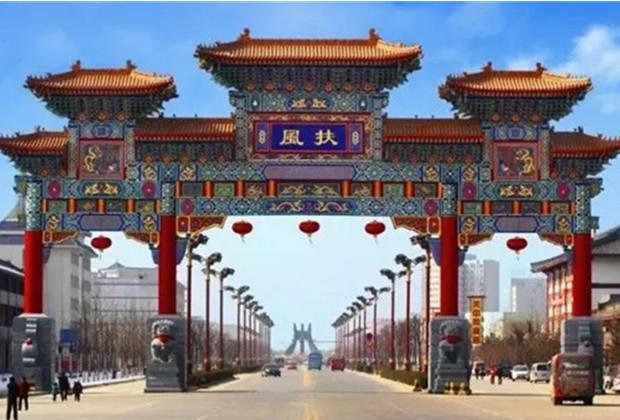 In the face of the adjustment of domestic industries, the accelerated pace of transfer, the country's in-depth promotion of the "Belt and Road" strategy, and the implementation of the Guanzhong-Tianshui Economic Zone plan, Fufeng has ushered in new historical development opportunities. While actively developing domestic trade, Fufeng County is actively preparing to help local companies catch the "Belt and Road" foreign trade train. The cooperation between Fufeng County and Dragon Workshop is an important foreign trade channel set up by Fufeng County for enterprises. In March this year, Fufeng issued the Implementation Plan for the Integrated Demonstration Project for Electronic Commerce in Rural Areas in Fufeng County, which plans to invest 20 million yuan to subsidize projects and contractors included in the comprehensive demonstration scope of electronic commerce into rural areas. Cross-border e-commerce is the focus of guidance and attention this year. The implementation of the project will promote the construction of cross-border e-commerce in Fufeng County. While promoting local employment and entrepreneurship, it will cultivate cross-border e-commerce talents and e-commerce brands, change the plight of cross-border e-commerce talents, and promote the transformation and upgrading of traditional enterprises in the region to achieve all-round development of industries and talents. Liujikun, vice president of OSell Group and CEO of Dragon Works, said that the implementation of the cross-border trade service business of Fufeng Land Co., Ltd. will speed up the development of cross-border e-commerce in Fufeng, promote the significant increase of local export and foreign trade volume, and cultivate cross-border e-commerce professionals for the local area. Disseminate local brands, We will achieve the multiple development of local foreign trade, talents, and brands, and lay a solid foundation for the construction of cross-border e-commerce industries in the future.